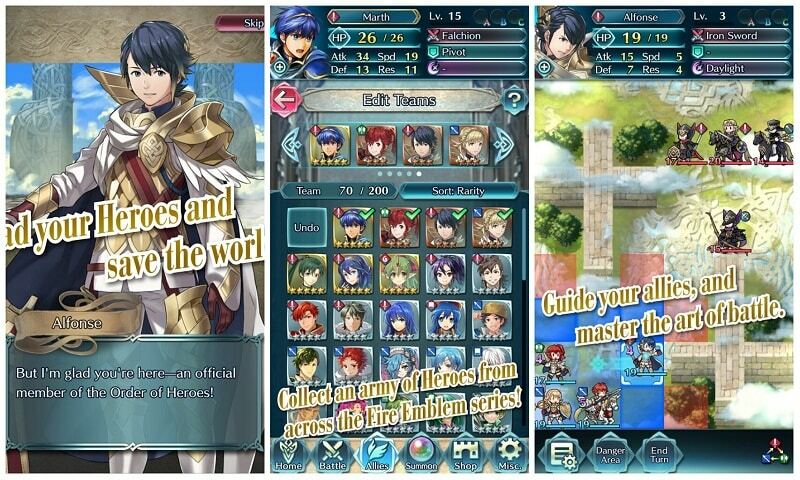 Developed by Nintendo and Intelligent Systems, Fire Emblem Heroes is a tactical role playing game that allows you to summon characters from a special universe to attack opposing enemies. The free-to-play game is available for Android and iOS devices, but it can as well be installed on a PC. The game currency is known as orbs, and you can use it to acquire new characters and upgrade other components of the game. When building your team in the initial stages of the game, it is recommended to get characters from the crystal rather than using orbs to buy them. This is because orbs dry up quickly, making it difficult for you to execute other tasks that require the currency. At the crystal, you can get characters that support your three main elements- Red, Green and Blue. 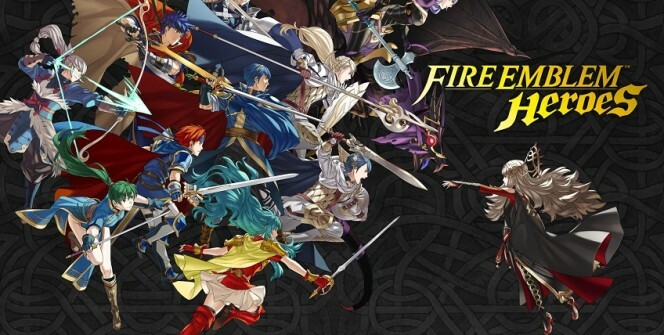 Let your team get a good balance of characters such as Mages, Dragons, Fliers and Basic Fighters. Consider getting characters that are rated 4 stars or 5 stars as they can grow and offer better abilities. In order to set up a strong combination of characters, you can study the tasks ahead or find out the attacks that your opponents are planning to unleash. You need to know the strengths and weaknesses of your characters in order to employ tactics that will win you many battles. It will be easy for you to know how and when to use certain characters when you know their strong and weak sides. Make use of the terrain to kill more enemies. For example, you can first eliminate enemies that are in forest squares, small gaps or choke points as they are pretty helpless in these zones. You can also use the Danger Area button to know places that your opponents can or can’t occupy. Another battle tactic is to avoid being surrounded by your enemies. You need to position your troops accordingly to avoid being surrounded by your opponents or use natural barriers to thwart any attacks from opponents that come near your bases. Other tactics that you can employ to win many battles include doing nothing at all at some times and causing your enemies to react first in order to act accordingly. One great way to earn orbs is to beat stages or just to level up. You will get a free orb when you move from one level to another in the difficult parts of the game. Other things like emblems and experience points can be earned at the training tower and from the present box, so you need to head to the tower or empty the box to gain your valuables. Get your duels and unlock feathers to rank up the star levels of your characters. Feathers can also be earned by making friends on the social part of the game. To upgrade your heroes, castle and other elements, you will have to use orbs. As mentioned above, you can install this RPG on your laptop, desktop or MAC. You can do this by using an Android emulator which allows you to access mobile apps on your PC. Sometimes when playing Fire Emblem Heroes, bluestacks ask you fee to pay but gives you option to download some apps. Every time it asks you just select “Install apps” and continue using it free. I hope you enjoyed this article, please rate and share. 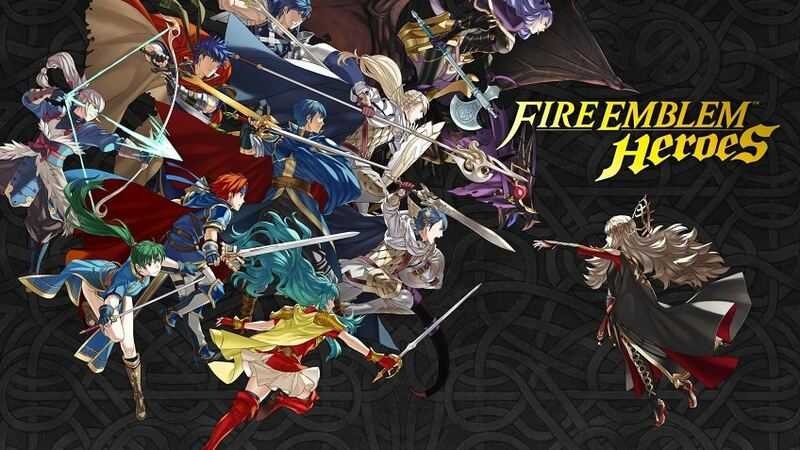 If you have problems running Fire Emblem Heroes on desktop or any other issues, leave a comment below.